Limited availability: NTPC Ltd’s Unchahar plant in Uttar Pradesh. The plant is one of the 11 power projects that have only a day’s stock left, according to the Central Electricity Authority. New Delhi: The government’s promise to alleviate a chronic shortage of coal is yet to yield results. Eleven power projects with a combined capacity of 16,175 megawatt (MW) have only a day’s stock left, according to the latest data provided by the Central Electricity Authority (CEA), India’s apex power sector planning body. This is enough capacity to meet the annual demand of Maharashtra. Power projects situated near coal mines are supposed to have a reserve of two weeks; those located far should have at least a month’s supply in reserve. Of these 11 projects, six having a capacity of 11,410 MW belong to state-run NTPC Ltd , India’s largest power generator. NTPC has an average coal stock position of four days across all its stations. 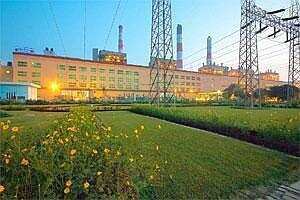 Of the country’s installed power generation capacity of 1,82,345 MW, NTPC makes up 19.1%, or 34,854 MW. To make matters worse, the coal ministry’s plans to meet supplies to the power sector by diverting coal meant for electronic auctions has also failed with NTPC rejecting the proposal because of the quality of coal and problems in transportation. NTPC needs 166 million tonnes (mt) of coal in the year to 31 March, of which around 16 mt has to be imported. The company has already placed orders for importing 12 mt. “They had offered to diver the coal meant for e-auctions but we rejected the offer due to issues of quality and logistics," the NTPC executive said. India is dependent on coal for power generation. Some 54.7% of the country’s installed power generation capacity is coal-based; much of the targeted addition of 100,000 MW in the 12th Plan period (2012-17) is also coal-based. It takes around 5,000 tonnes of coal to generate 1MW of power every day for a year. “The coal supply position had dipped considerably early October due to several factors, presently coal supply level has increased and as a result generation level at NTPC power stations is being done as per commitment," an NTPC spokesperson said in an emailed response on Friday. “With the improved coal supply, after meeting generation requirement average coal stock across all NTPC power stations is around four days." “NTPC could not agree to coal ministry’s proposal due to following reasons: The e-auction coal was not a crushed coal and can damage coal handling infrastructure at our stations affecting power generation. Inadequate transport infrastructure to transport the e-auction coal from different sidings to NTPC stations, this can lead to other associated problems," the spokesperson said. India has 75 thermal power projects that depend on state-owned Coal India Ltd (CIL) for fuel supplies. CIL has an 82% share of the country’s coal production, but has been unable to keep pace with rising demand. “The fuel crisis will remain for several years. We need to get used to it," said Anish De, chief executive at Mercados EMI Asia, an energy consulting firm. “It is unlikely that any 12th Plan project can be planned on the basis of any allocations of domestic coal." Coal minister Sriprakash Jaiswal defended the coal-supply position. “As far as quality is concerned, we have told our companies to supply only crushed coal so that no complaint of quality should come to us," he said. “Ask NTPC to give the latest stock situation, not just theirs, but of all power companies. They have 30-40 power stations. If half of them have 15 days stock, some have 10 days of stock and others have 5-6 days of stock, what would you take the stocks to be at?" Power companies are, perhaps, overstating their coal supply shortage situation to cover up for other problems, Jaiswal said. “Maybe not NTPC, but many power stations who are also saying they have a shortage of coal could be exaggerating. The truth is that there is no shortage of coal in any of the power stations in the country as of now."